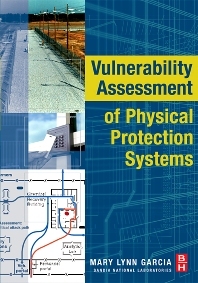 Vulnerability Assessment of Physical Protection Systems guides the reader through the topic of physical security with a unique, detailed and scientific approach. The book describes the entire vulnerability assessment (VA) process, from the start of planning through final analysis and out brief to senior management. It draws heavily on the principles introduced in the author’s best-selling Design and Evaluation of Physical Protection Systems and allows readers to apply those principles and conduct a VA that is aligned with system objectives and achievable with existing budget and personnel resources. The text covers the full spectrum of a VA, including negotiating tasks with the customer; project management and planning of the VA; team membership; and step-by-step details for performing the VA, data collection and analysis. It also provides important notes on how to use the VA to suggest design improvements and generate multiple design options. The text ends with a discussion of how to out brief the results to senior management in order to gain their support and demonstrate the return on investment of their security dollar. Several new tools are introduced to help readers organize and use the information at their sites and allow them to mix the physical protection system with other risk management measures to reduce risk to an acceptable level at an affordable cost and with the least operational impact. This book will be of interest to physical security professionals, security managers, security students and professionals, and government officials. Ms. Garcia is a Senior Member of the Technical Staff at Sandia National Labs. She has over 20 years experience in Science and Engineering research, development, application, teaching, and project management experience of security systems and technology. She has been a certified Protection Professional since 1997.